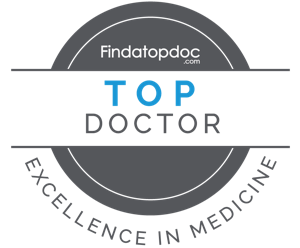 Dr. Zaidi is a board-certified family physician that has been practicing medicine for more than 20 years. Dr. Zaidi completed her residency training in Family Medicine from the North Central Texas Medical Foundation Family Residency Program in Wichita Falls, Texas. After the completion of her residency, she practiced in various locations across Oklahoma and North Texas, most proudly at the Sheppard Air Force Base, before she moved to Central Florida. Dr. Zaidi believes she has been blessed with the opportunity to work in several different areas of the world and in a variety of multiracial healthcare settings. She believes these opportunities have led her to be very comfortable in working with people of different backgrounds, cultures, and ages. Dr. Zaidi has special interests in women's health and lifestyle and behavior modification. One of her main philosophies that she uses to help her practice medicine is the idea of preventive care. She truly believes "prevention is better than cure." She uses this philosophy to help her in educating and guiding her patients to achieve healthier lifestyles: a better versions of themselves. She also believes in laughter. Laughter truly is the best medicine and is an integral part of her patients' health and wellness. She finds it important to ensure that each patient receives proper attention and comfort during each visit. Dr. Zaidi tries to make sure each patient leaves the office with a smile on their faces. It gives her a great sense of satisfaction knowing she is able to alleviate their stresses and worries in even a small way. Dr. Zaidi is happily married and is the proud mother of 4 wonderful children. She enjoys traveling, trying new recipes, going to the beach, and spending time with her family and friends. She absolutely loves being in Central Florida and hopes to continue experiencing all the wonderful things that it has to offer!